One thing that Ms. White did well in this novel (and does well generally) is to create such dynamic characters. Not only are they complex, but Willa and Lukas manage to play off of each other in such interesting ways. There is Willa who is very straight forward and to the point…even as she has to hide parts of herself for her mission. And then there is Lukas who appears to be straightforward on the surface, but is obviously hiding something below. Willa is both sensitive and worldly. Lukas is both sensitive and worldly. And yet they are sensitive and worldly in such very different ways. There are actually two storylines in this book. 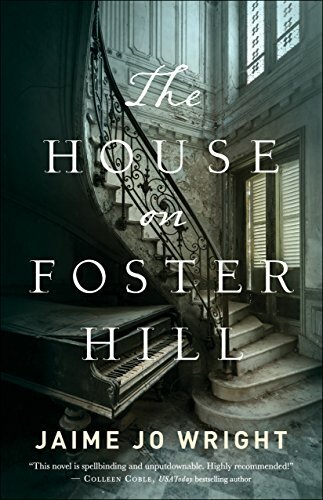 Generally speaking I do not like two storylines, but the second story was so fascinating that I enjoyed every page of it and found myself thoroughly engrossed. Obviously, there’s deception here, but once again, White handles it so beautifully! Romantically, I love how Willa and Lukas come together. It feels very organic even though they are such different people. Historically, you learn so much. It’s a different aspect of WWI that I didn’t know much about and White is able to teach me without making me feel like I was learning. Spiritually, the novel deals with trust and what it looks like to be a new creature in Christ. Pretty much loved every word! Overall, loved this book! If you haven’t read it yet, what are you waiting for? The author does hit the gothic notes. I was worried the book wouldn’t. Never fear. You have the creepy house that’s a character unto itself. You have the narrators whose mindset you can’t quite trust. You have the strange town and townspeople. And then there are all the gothic effects: dark and stormy nights, unseen danger in the shadows, centuries old mysteries. Two stories. I’m not always a fan of two stories, but I thought it worked nicely here (even though this is not a typical gothic feature). You have Ivy’s story which is playing out the old mystery at the same time that Kaine is trying to solve that mystery along with a new one. I thought the balance between both stories was nicely done. I also really liked the tie between what was happening then and what was happening now. It added a touch of modernity to the gothic novel that really worked nicely. Spiritually, the novel deals with believing and trusting God’s promises even when it is difficult. Faith in God gives you hope. Gothic novels almost need to start with a light touch of the eerie and crescendo toward the end…otherwise it’s too melodramatic all the time. This book crossed into the line of too melodramatic. Kaine, the main character, arrives at the property already half-scared out of her mind. Everything was scary all the time to the point where almost nothing was. I appreciated the gothic notes, it just got to be a bit ham-fisted (a female character named Kaine?…I guess…). I also didn’t think the Why questions were answered well. They were answered, but I was so skeptical the entire time I was reading the book. When I finished it I was still like why did this happen or why did that happen. (Spoiler Warning) Why did the hero after meeting Kaine for five minutes drop everything he was doing and put her first? Why did the hero not have a life? Why did the hero have exactly the skills Kaine needed? Why did Kaine, having PTSD problems, decide to buy a house with a creepy background in the middle of nowhere? Why were people randomly helpful? Why didn’t Kaine leave the creepy house and come back when she was in a better mindset? Why did Ivy and Joel become so invested in this mystery to the point where they put their lives at risk? Because these why questions weren’t answered very well (we were just supposed to accept it), I found myself not the least bit invested in any of the characters. For me the book dragged a bit and I found myself skimming. Overall, not bad, but it also didn’t quite draw me in. History. Frantz always wields the sword of history so well. 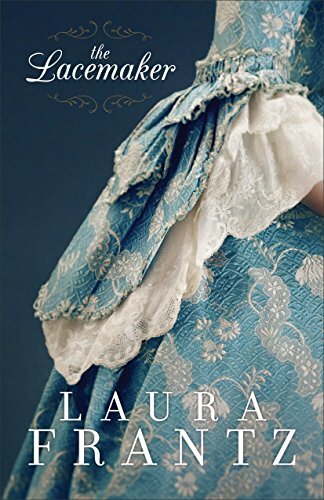 Every aspect of her book is expertly researched from the beginnings of the American Revolution down to the clothes each person wore. Without feeling like I was in a history class, I learned about lace-making, class issues, the Patriots, the Tories, spying, various historical figures that were real, etc. Not once did it feel overwhelming. Instead, I felt like I had a front row seat in a historical moment in time. Liberty. Liberty becomes a real person almost right away. You learn her hopes and fears and what makes her tick. She’s a fully developed, complex character. And yet, still one that the reader can trust. The hero. You can’t find anyone much better than the hero. I did wish he had moved faster in regards to some things, but he was a man of strong character and kindness…a typical Frantz hero. The romance. The romance develops out of a friendship that can be found amongst the pages. There’s nothing rushed here and nothing complicated. Spiritually, the main characters pray, seek God, and learn to trust Him in hard times. This is not necessarily a plot driven novel (though it has a plot!). It’s a character driven novel. That means that sometimes it felt a bit slow. 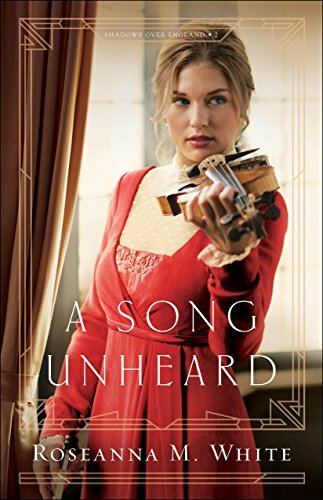 Overall, a lovely novel as usual by Laura Frantz. If you’ve enjoyed her other novels this one is not to be missed!